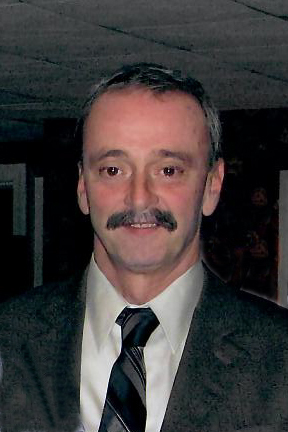 Richard E. Laramee, 64, of Harrisville, died September 9, 2018 in Rhode Island Hospital, Providence. Born in Woonsocket, he was the son of Emile and Lorraine (Sawyer) Laramee. Richard was part owner, along with his father Emile, of L&L Dozer Service Inc. He operated heavy equipment clearing land for most of his life. Richard enjoyed gardening, cooking and spending time tinkering in his yard. He is survived by two sons, Brad Laramee of North Smithfield and Marc Laramee of Woonsocket; his father and mother, Emile and Lorraine Laramee of North Smithfield and sister, Suzanne Connolly and her husband Wayne of Harrisville. He was preceded in death by his son Kevin Laramee and his girlfriend, Nancy Chamberland. Visitation will be held Saturday, September 15, 2018 from 2 – 4 PM, with a service to follow at 4 PM in the Holt Funeral Home, 510 South Main St., Woonsocket. Memorial contributions may be made to the Audubon Society of Rhode Island, 12 Sanderson Rd., Smithfield, RI 02917 in memory of Richard.